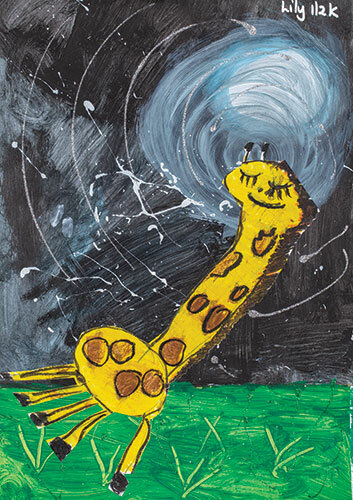 Students visited the Melbourne Zoo and then read the picture book story ‘Giraffes Can’t Dance’ by Giles Andreae. 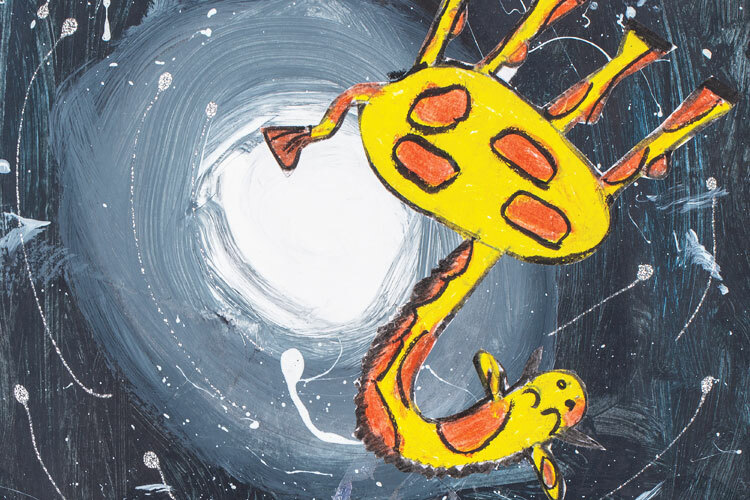 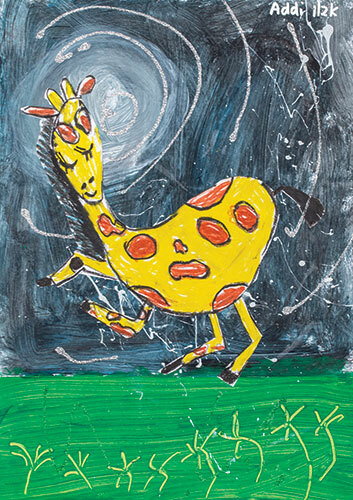 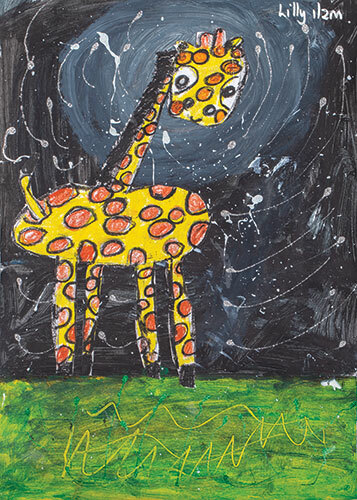 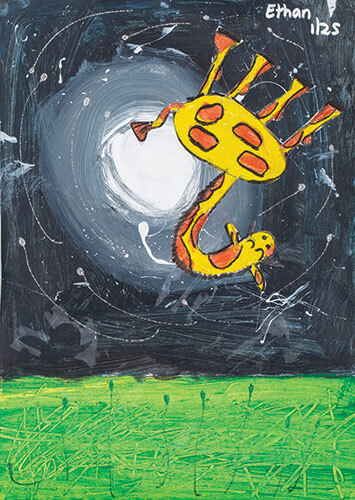 They created their own giraffe collage inspired by the story using cartridge paper, and oil pastel for the giraffe. 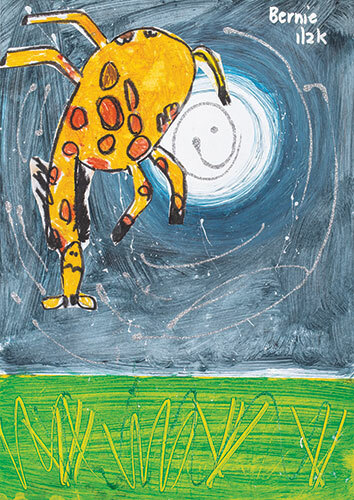 Students focused on emphasising the facial features and ‘dancing legs’ of the giraffe, outlining spots and features to help the figure stand out on the page. 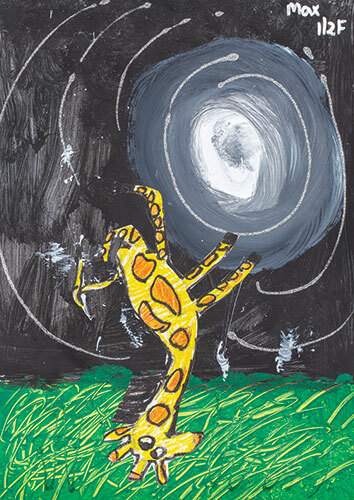 Students worked hard to apply paint in a radial manner, so as to achieve hues of the moon for their background.